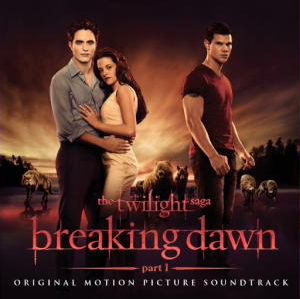 So it’s become a bit of a tradition (1, 2) for us to delve into the Twilight soundtrack after they’re announced because well, we love music… and I work in it. What isn’t to like about tearing apart the track listing and artists and see what we can learn about the film from it… aka make wild guesses and assumptions. At first glance I’m intrigued this is definitely NOT the same vibe as New Moon and Eclipse with it’s “indie” (vom, I hate that word) esque sensibilities and thoughtful inclusions… this is almost more in the vein of the first Twi soundtrack minus the mid 90s vibe of Collective Soul etc. *shudder* I think the thing we need to remember going into this is that music in film is meant to enhance a mood or feeling in a scene and to help tell the story without being a total distraction (and come in under budget). This is one I was excited to see because I’ve been listening to their album The Big Roar for the last year. Though they’re not my end all be all, I’m glad they were included because they’re the type of artist I would expect on a Twilight Sountrack. I’m assuming this will be some type of upbeat scene with driving or running or maybe when Bella gets out of the car at the gas station at the beginning of BD. Ya know, if we’re being literal. Lovely little brother and sister duo on Nettwerk another lovely little label. Their music has been on a bunch of CW shows and Greys Anatomy so this isn’t a big surprise of a pick… but they’re kinda snoozeville to me. They seem like one of those bands that was put together for the sole purpose of inclusion on soundtracks and tv shows: innocuous, girl with a baby voice, sounds nice in the background, easy to clear, that sorta thing. I’m sure they’re nice folks and all but Zzzzzzzzzz. I see this in some sort of chill scene maybe the morning after! Heh heh! Ok, so I don’t hate it like UC hates it… she says she can’t even listen to it all the way through. It’s not awful… I wouldn’t kick it out of bed but I’m not ready to spoon with it either. Some thoughts to settle the crowd down a little: All other lead singles (Twi excluded) haven’t even been featured IN the movie, only over the credits. SO if you hate it THAT much you can just run out before the credits roll. It’s probably a move to get more radio play for the soundtrack and in turn more moola. It’s not like Death Cab and Muse were being played 40 times during Ryan Seacrest’s morning show, so who better to choose as the single than the dude who’s basically PRINTING cash based off his publishing on his songwriting and chart topping songs this last year. If it’s included in an actual scene, this feels like first dance or dance with Jacob material to me. Vulture is calling it Twilight’s version of “Kiss From a Rose,” I’m also feeling Robin Hood’s “Everything I do, I do it for you” or The Three Muskateers “All for Love.” All of these were massive radio hits which goes back to my theory on why this is the single: CASH. Der. Too bad they couldn’t get Bryan Adams, Sting and Rod Stewart to reunite one more time to create the BD song. I know my mom would have been pumped. This is SO long we need a cut! Follow the jump for ALL 15 tracks! Welcome to our world! Are you new here? Learn all about us here. Check out our very first post then have some burning questions answered over on the FAQs.